Welcome to CLIPPERS ARGENTINA SA, Integral Logistic Operator and International Trade, a young but with more than 25 years of experience in Logistics and International Trade company integrated by professionals with vast experience in all the inherent areas. Clippers is member for Argentina of IFLN – INTERNATIONAL FREIGHT LOGISTICS NETWORK, and IFLN GLOBAL PROJECTS, two of the most important international agents networks of integral logistics and project cargoes with more than 600 offices in 140 countries of the world, being able to transport any type of merchandise by any means of transport to and from any corner of the planet. 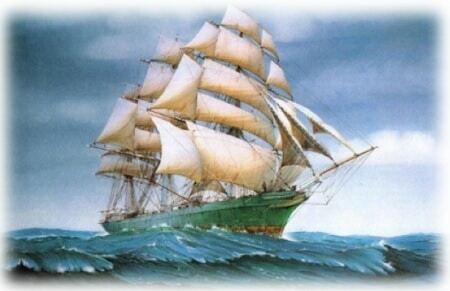 The Clippers, cargo ships of the mid-nineteenth century which thanks to their navigation speed, changed the paradigm of international trade in that years. Like its predecessor the sailing ship, Clippers Argentina, fast and flexible, adapts to the needs of users to ensure efficiency in international trade operations. we provide top quality professional services to our customers. We consider ourselves a strategic partner in foreign trade and not a mere service provider. We are oriented to concrete, integral and lasting results adopting the best logistics to the customer’s needs. Our business vocation is the permanent search for solutions to different complexities that can be found in foreign trade operations of goods, minimizing costs and maximizing the benefits of the parties involved. For this purpose, the team has in-depth knowledge of the particularities of foreign trade operations for import of goods where companies must take full control measures in integrated logistics, in order to minimize the impact of imports on their insertion in the market.